After you have completed the Authorization with Amazon there are still a few settings that need to be filled out. Not to be confused with Inventory Rules, these settings here are related to the individual marketplace and actually compliment the Inventory Rules section. 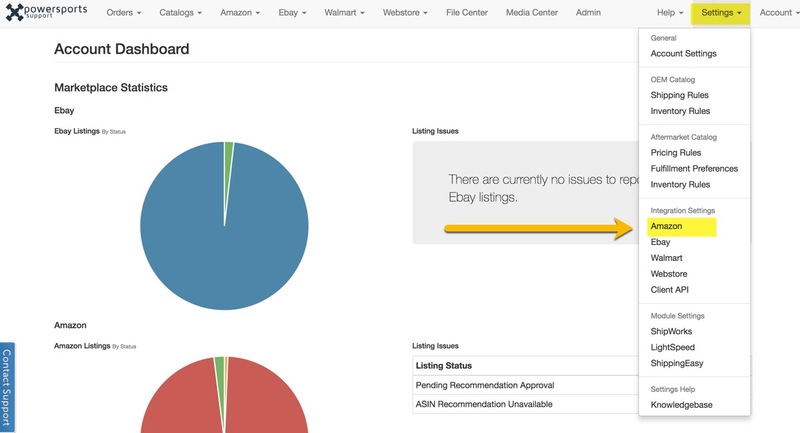 If you don't want all of the calculated lead times from your Inventory Rules to be used across your eBay listings you can assign a Lead Time Floor. If you enter a value of 3 here, any calculated lead times of 1 or 2 will be raised to 3. This setting should be almost always be set at 1. 2 would be a good value for a small shop that sometimes finds themselves a day behind on shipping. When checked this feature will remove any SKUs that are OOS from your Amazon Seller Central. The primary feature of this is to keep your Amazon backend a little more tidy and less cluttered. Dealers that have Amazon listings that are external of PSS may appreciate this. If you are only using PSS just leave it unchecked. Copy that is shown to customers browsing all available sellers for a specific product listing. These are global settings where you can set broad parameters in regards to price management. The minimum price of an item you are willing to sell on Amazon. If you do not wish to sell products on Amazon below a certain amount you can enter that value here. An entered value of 25, will restrict any positive inventory from being sent to listings of products that have a price below $25. Dictates where the minimum price threshold set above be applied to 1. MSRP supplied by the distributors. 2. The calculated sale price of an item based on pricing rules & overrides. Enabling this option will stop PSS from sending pricing information to Amazon. This is useful if you are using an external repricing tool to manage the prices of the products you have listed on Amazon.